These are the most simple yet powerful strategies I’ve used that have worked for me to overcome my fear of networking. There are a ton of tips out there and believe me, I’ve tried them all. But these five strategies simply evolved naturally over time. Maybe some will work for you? Please let me know. I’d love to hear your story. This works wonders. And it only takes a few seconds. Before you head into a networking event, stay in your car a few extra seconds. Take a couple deep breaths, whatever, it doesn’t have to be some big-transcendental-mediation-leading-you-to-an-existential-breakthrough. Just allow yourself a little time to release some stress and anxiety simply by being alone in your car and breathing. 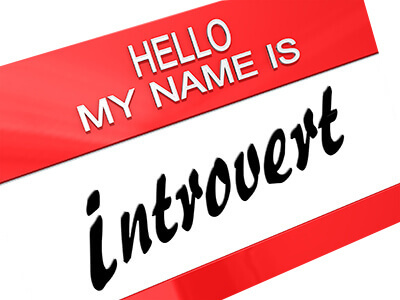 Next, in that quiet space set a clear intention for when you walk into the networking environment. The choice of the intention is up to you. Sometimes I simply set the intention of “smile more.” And guess what, I do! Sometimes I set a very specific intention to give compliments to three people. The beauty is it can be anything, but because you took the time to clarify how you are going to show up, for yourself and others, it is far more likely that is how you will show up! And having that clear intention will give your mind sometime else to focus on besides flipping out over being in a room filled with humans. Just two. Why? Because one seems not enough and three maybe too many. Tell yourself that in the whole room of people all you need to do is connect with two people. Totally doable. And after you’ve met and connected with those people you are off the hook. You don’t have to connect with anyone else if you don’t want to. You can even sneak out the door with a napkin filled with cheese and crackers. The catch is they must be meaningful connections. How do you make them meaningful? By following steps 3 through 5 below. Why take all the time and energy to put on pants and go outside and meet humans if no one is even going to remember you? Why even bother if you aren’t going to make a lasting impression and inspire people to support your mission? You need to have on hand at least three STORIES of how and who you help. Perhaps a story of a client (the hero of your story, btw) you recently helped and how much better his or her life is now because of your product or service. Or try an “origin story” of why you do what you do. These stories need only be a few sentences. Is that possible? Absolutely. Need help learning how to tell short, clear business stories to make a lasting impact? Well, you know that’s what I do, right? Seriously, we all need to stop asking “how are you?” And stop answering “fine.” How about “what’s been the best part of your week?” Or “what do you love most about what you do?” Or even “what’s most challenging for YOU about networking events?” Work on crafting at least four questions to ask people you meet that go a little deeper and get a little more specific. You’ll be amazed how a single more meaningful question can evoke a more authentic connection. And you’ll ENJOY (Oh goodness there’s that word again) talking with the people you meet. Those two people. Those two people who will totally remember you! This is my favorite. It’s so simple. But begin to use this when meeting new people and you’ll notice how everything shifts. Wait FIVE SECONDS before responding to another person. It forces you to truly listen to what they are saying and not just wait to talk. It slows things down in your mind and gives you a little reprieve from worrying about what you will say next. Just wait five seconds. In that time you can think about what the person just shared with you. Really take it in. Receive it. Allow for that space and connection to simply BE. Then respond more thoughtfully and intentionally. If in that time the other person starts talking again, just let them. Think of a question to ask about what they are saying. Nod your head, let them know you are giving them all the room and space in the world to share with you. Allow for time to inspire and to be inspired. Isn’t that the point? You got this. Just don’t forget pants.